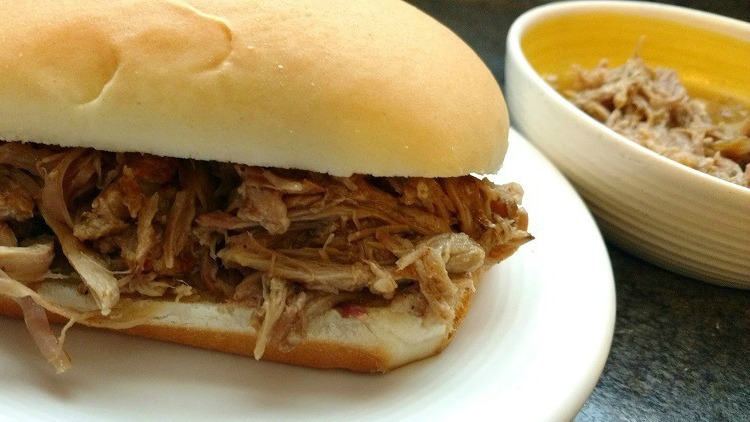 Pulled Pork Sandwiches are easy to make in the slow cooker. And they are a hit with the family and friends! I find that pork shoulder is best when cooked slow and low in the slow cooker. The meat comes out tender and juicy and literally falling off the fork. Add your ingredients and put the lid on the slow cooker. I prefer to start mine Pulled Pork meat in the morning and by dinner it is ready to put on buns. Serve straight from the slow cooker with a couple different types of BBQ sauce to top off the meat. 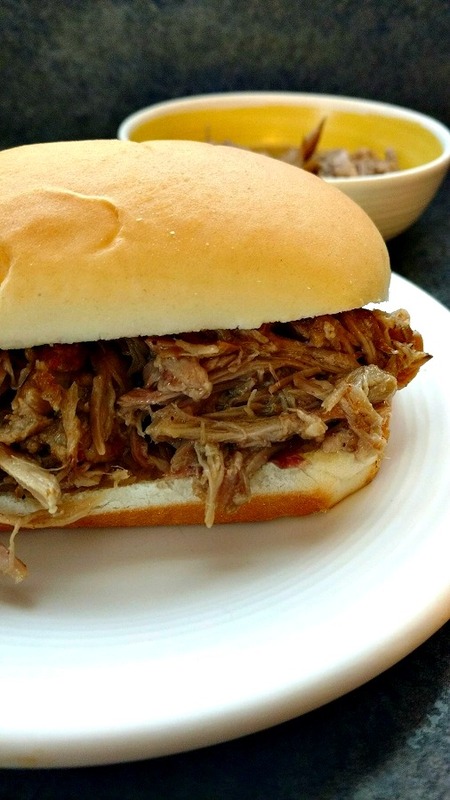 Tasty and delicious pulled pork with only 6 ingredients, a slow cooker and some time. Serve on buns with a side of bbq sauce for a family friendly dinner. Carefully remove any excess fat from the pork shoulder. In a bowl, mix brown sugar, black pepper and salt. Rub the mixture over the pork shoulder. Place the seasoned pork shoulder in a 5 qt or 6 qt slow cooker. Pour the water around but not over the pork. Place the garlic and onions around the pork on the sides of the bowl. Cover and cook on LOW for 10-12 hours or HIGH 5-6 hours. Remove the onions and discard. Using two forks, shred the pork while it is in the slow cooker. Serve on buns with a side of BBQ sauce.